We value privacy highly by having backdoor free products and no data being collected. Full High Powered 64 Bit Performance platforms supported. No software installation required. Easily setup scanning schedule and get notified when new vulnerabilities are discovered on your IPs. If you are not sure which IT security product you need for the maximum security protection feel free to sign up for a free webinar to get a good understanding. The Protector Best UTM SSL-VPN Firewall offers powerful incoming & outgoing Network protection. 64 Bit - High Performance architecture Virtual & Hardware appliances with SSD. IPS - Secure your network and protect from incoming attacks with the powerful 64 bit Intrusion Prevention System (IPS) engine. Anti Spam - Strongest updated engine with advanced settings, latest RBL for highest spam catch rate. Mail Archive - with individual user login. Log all mails incoming & outgoing on the harddrive. Web Filter - Block Social Media - Dangerous Sites - Time Based control - User & Group Control - Increase productivity. Content Filter - Block Bittorrent, TOR, Proxies, Network games & other unwanted traffic. Microsoft Active Directory & Ldap Integration. Vulnerability Scanning - Discover Vulnerable systems across the Network. High Availability for Maximum Security. The Penetrator Vulnerability Scanner software & Appliance allows for powerful network auditing. 64 Bit - Virtual ESXi, Hyper-V, VMware or Hardware Appliances. Vulnerability Scanning & Vulnerability Assessment. Report in multiple formats: Technical, Consultant, Executive. Allows for Report and Interface re branding. 9 Default Scanning Profiles - Customize your own profile. Distributed Scanning - Central Management of multiple Penetrator installations. Scan local and public IPs. No cost per scan only limited to concurrent scans. You can scan both local and public IP addresses with up to 9 different scanning profiles. The SecPoint IT Security products features: No backdoors - No information gathering. Recover WiFi WEP WPA WPA2 WPS Keys. Professional WiFi Penetration Testing software. WiFi Penetration Testing Software - Recover WPA WPA2 WPS WEP Keys, Denial of Service DoS. 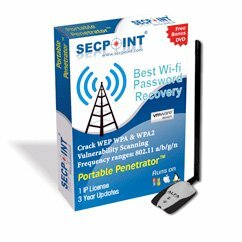 Portable Penetrator Ultimate WiFi Penetration Software. Carry out real WiFi attacks on your WiFi access points to discover vulnerabilities. Man in the Middle attacks, Connection handshake capture, Brute force and Denial of Service attacks. WEP - WPS - WPA - WPA2 Password Recovery. Connection Handshake capture for online or offline key cracking. 1.1 Billion entries word lists included. 2.4 GHz - 5.8 GHz WiFi supported. Easily connect with WiFi USB Adapters. Run on your laptop for maximum mobility - Windows 10 / Mac OS X. Import / Export WPA WPA2 handshakes for password recovery. More than 30 language specific word lists included. Import your own Word List. Customized PDF reports available with result. Supported WiFi adapters from Alfa, TP-Link, Panda and more. Scan your public IP addresses for vulnerabilities with the Cloud Penetrator Best Web Security scanner. Minimal Server impact during scan. Choose between 9 scan profiles. Scan Popular CMS: Wordpress, Joomla, Drupal & others. Automatic crawler find unknown vulnerabilities. Customize scan to scan multiple Virtual Hosts. Detailed statistics with time comparison. Easily Download all your reports. Multiple report formats Technical, Consultant or Executive. 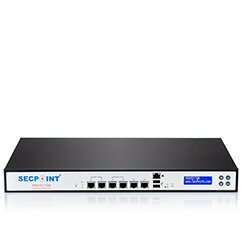 Scan Firewalls, Mail Servers, Web Servers IoT, Windows, Linux, Mac OS X. User friendly Interface easy to use.